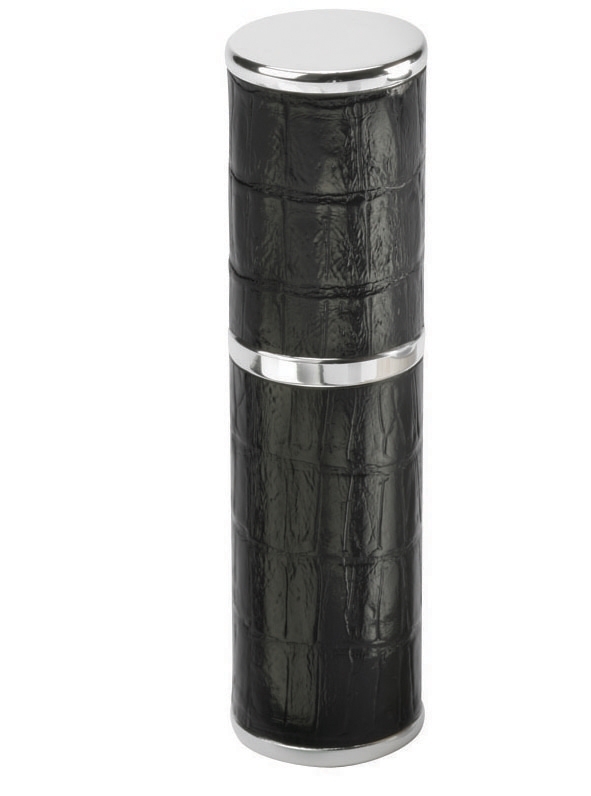 An essential for the lady's handbag this beautiful metal atomiser is covered with a black imitation Crocodile skin. Easily refilled by pulling off the main barrel to reveal the glass bottle inside this atomiser holds 8ml of your favourite perfume. Beautifully made to the highest standards in Austria this piece is delivered gift boxed.